Even after the age of 25, the body’s level of hyaluronic acid production reduces. At the age of 40, the body produces 50%, and at the age of 60 only 10% of hyaluronic acid. The first wrinkles are observed after 10 years of reduced production of hyaluronic acid. Unfortunately, the lack of hyaluronic acid in the joints is not visible. When the joints make themselves known, it is often too late. In order to speed up the rehabilitation process, the deficiencies in synovial fluid components, i.e., hyaluronic acid and chondroitin sulphate should be supplemented. This will allow you to protect the cartilage from degradation and improve joint elasticity. Each excess kilogram is an additional 5% load on the lower limb joints. 20 kg of excess weight is an additional 100% load on the joints. It is as if the joints of one man must bear the weight of two people. 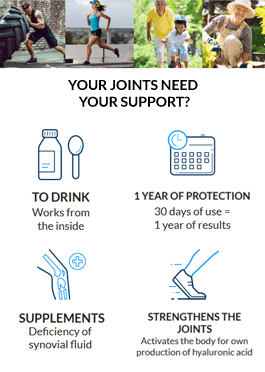 Protect your joints using Hyalutidin HC Aktiv. 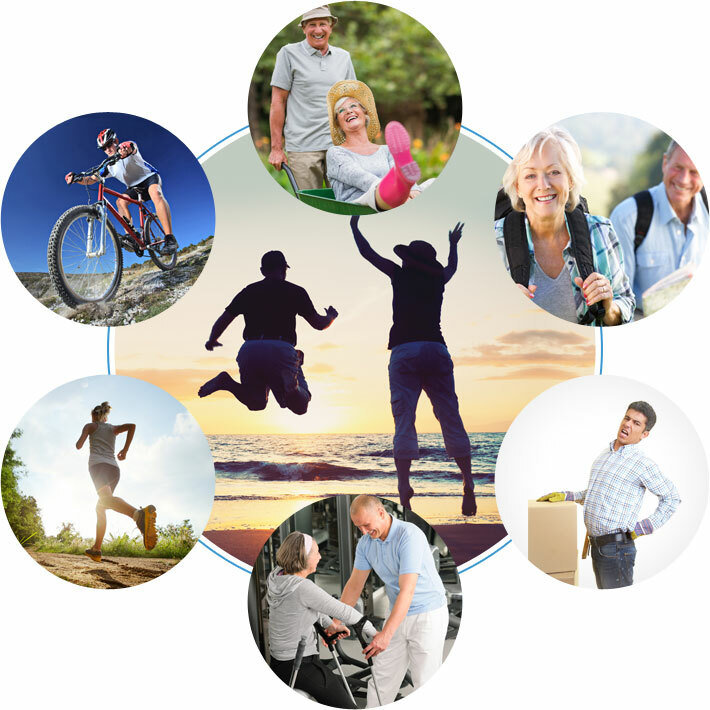 Your joints are not just strained by excessed weight, but also a series of physical exercises. To make sure that your workouts do not destroy your joints, use hyaluronic acid and chondroitin sulfate, which will protect the joints against degradation of joint cartilage and improve cushioning. A slimmer silhouette does not necessarily mean damaged joints. If you train for health, remember to keep your joints in good shape. The deficiencies of hyaluronic acid and chondroitin sulfate can be easily supplemented with Hyalutidin HC Aktiv. Breaking life records is the result of intensive training, during which the joints use up very large amounts of hyaluronic acid. To prevent the degradation of articular cartilage it is key to systematically supplement the deficiencies of hyaluronic acid and chondroitin sulfate using Hyalutidin HC Aktiv. The lower nutritional value of food and the rapid growth of children and adolescents have caused that the growth of joint cartilage cannot keep up with bone growth. Add a Hyalutidin HC Aktiv supplement to your child’s diet so they can enjoy active practice of sports, without overstressing the joints (see how to dose the supplement in the children’s dosing section).